July 20, 1984 – Strolling through Millennium Park today, it is difficult to imagine what the area was like before the transformation began. Back in 1984 Cindy Mitchell, the president of Friends of the Park had this to say about the area east of Michigan Avenue between Randolph and Monroe Streets, “This could be the premier spot of the downtown area, a real tourist attraction and a place for Loop workers to enjoy a lunch, but it needs a great deal of work and some creative thinking. 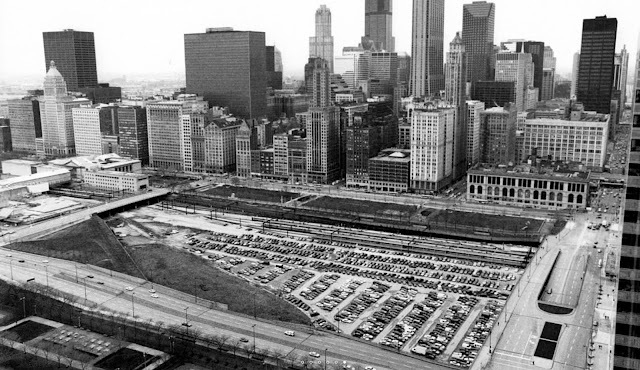 [Chicago Tribune, July 20, 1984]In a stroll through the garden with a Tribunereporter and photographer, Mitchell pointed out that “The flower beds have no flowers. Benches are in need of paint. Workmen were trying to start up the two large decorative and long-dry water fountains. When the water was turned on in the first fountain, a huge leak sprang through the deteriorated masonry. The second fountain proved more of a challenge and refused to flow.” That wasn’t the worst of it. Grass along the Michigan Avenue sidewalk is nonexistent; what little grass there is in the “park” is parched. Stairways are deteriorating at an alarming degree and most the wiring in the park lights is so far gone that few of them work. “Deeper in the park, the pigeons munch on piles of debris and share the lawn and benches with dozing derelicts, bag people and other itinerant-looking characters, some of whom frequent the back reaches of the park along the balustrade esplanade and dissuade visitors from using the area.” Commander Robert Casey of the First Police District says of the park that, although it is generally safe, “Office workers go there to smoke marijuana, and the bums sleep there during the night. We run the wagons in there early in the morning to get rid of the rummies.” Mitchell asserts, ‘When you’ve got a problem, you can’t just throw up your hands and say, ‘It’s impossible.’ You have to say, ‘Let’s attack this problem. We can lick it.’ It takes some vision, some planning, some creative thinking. It takes determination. 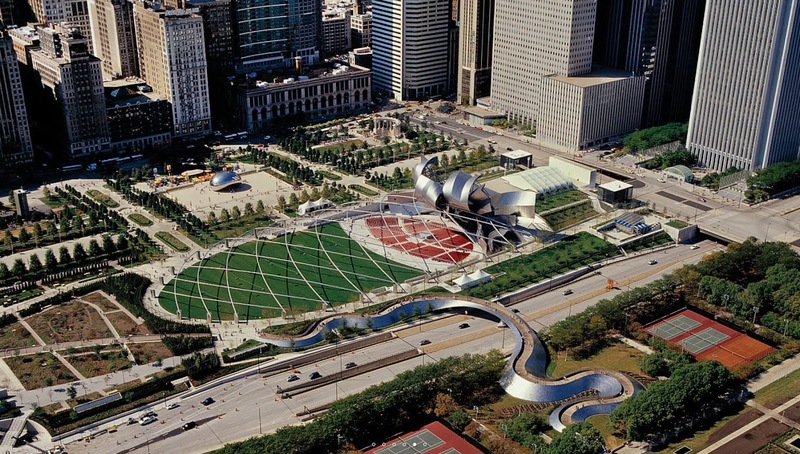 After all, Chicago’s motto is, ‘I will.’” Two decades later creative thinking paid off when Millennium Park opened and the city received a beautiful new front yard. The before and after pictures show the story. July 20, 1881 – The Directors of the Board of Trade receive assurances that an ordinance vacating a portion of LaSalle Street between Jackson Boulevard and Van Buren Street will be valid and, based upon this information, vote to purchase the property at this location for $10,000. 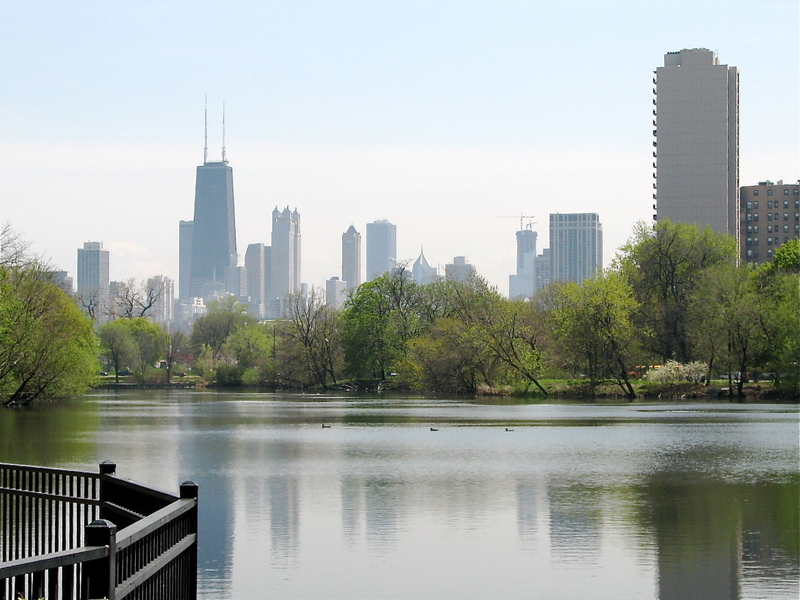 The next step will be to organize a Building Association since Illinois law prohibits the Board from erecting a building exceeding $100,000 in valuation. It is anticipated that the new building will cost at least $800,000, but the matter of the building itself is left for another day. The Chicago Daily Tribune summarizes the results of the meeting in this way, “The Board of Trade purchases the property for $10,000. This it leases to a Building Association for a term of fifty or one hundred years at a fixed rental. 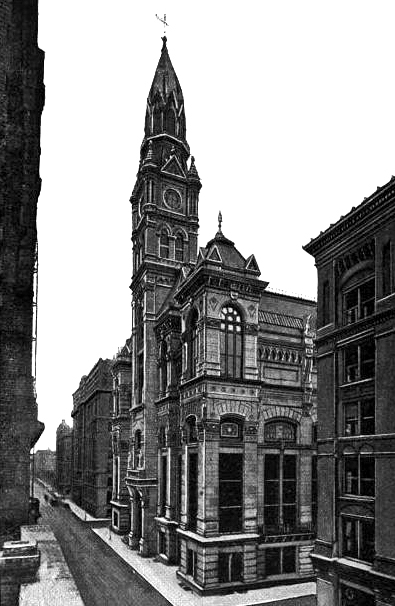 The Building Association erects the edifice, and leases to the Board of Trade what may be required at a certain rental, yet to be determined upon.” [Chicago Daily Tribune, July 21, 1881] This would be a decision that would produce a huge impact on this area. 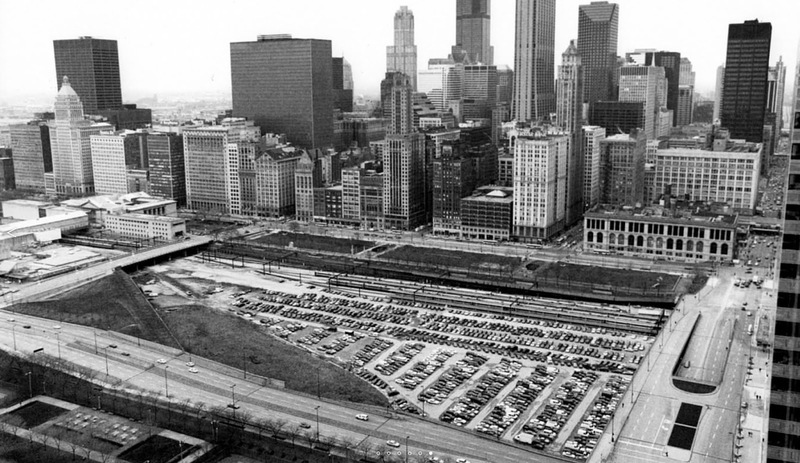 According to Homer Hoyt in his One Hundred Years of Land Values in Chicago, "From 1881 to 1883 the value of land on Jackson, Van Buren, Wells, and LaSalle streets near the Board of Trade advanced from $200 and $400 a front foot to from $1,500 to $2,000 a front foot .. the total increase in the value of land and buildings within half a mile from the Board of Trade from 1881 to 1885 was estimated by current observers at from $20,000,000 to $40,000,000." The first Board of Trade building to stand on this site is pictured above. Barely visible above the front entrance at the base of the tower are the two statues of Agriculture and Industry that still stand in the plaza outside the present day Board of Trade building.